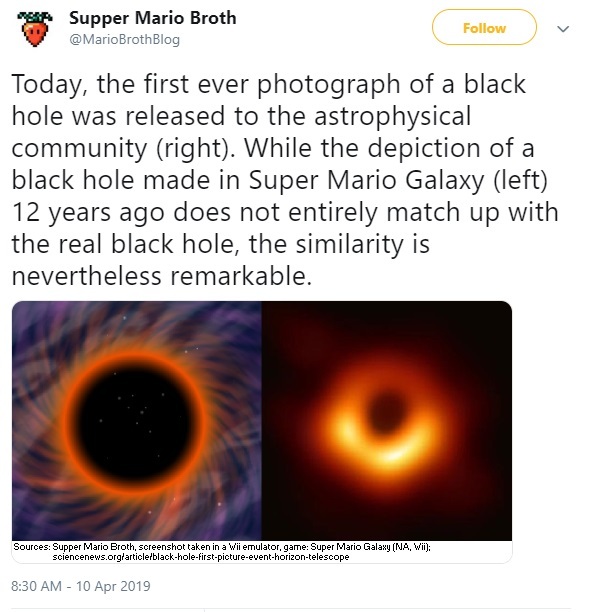 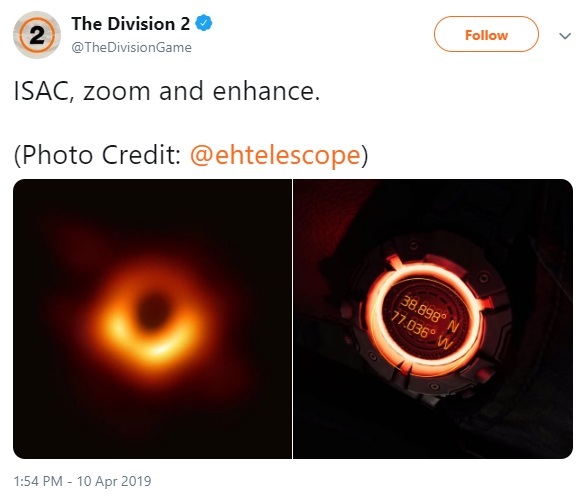 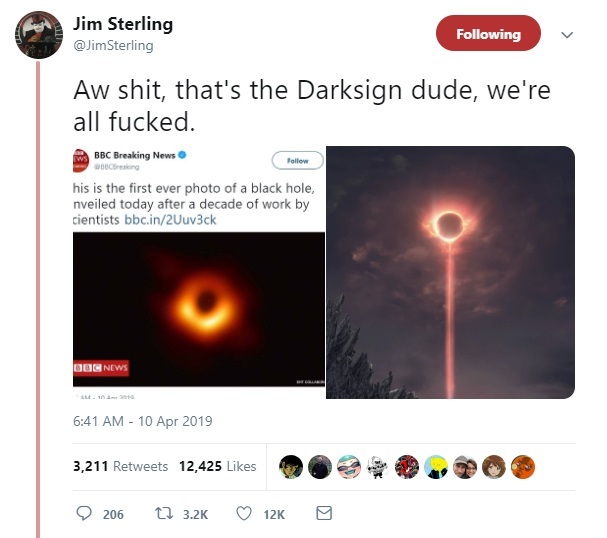 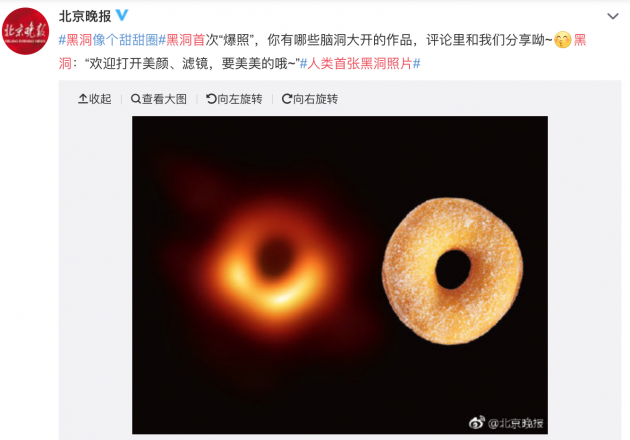 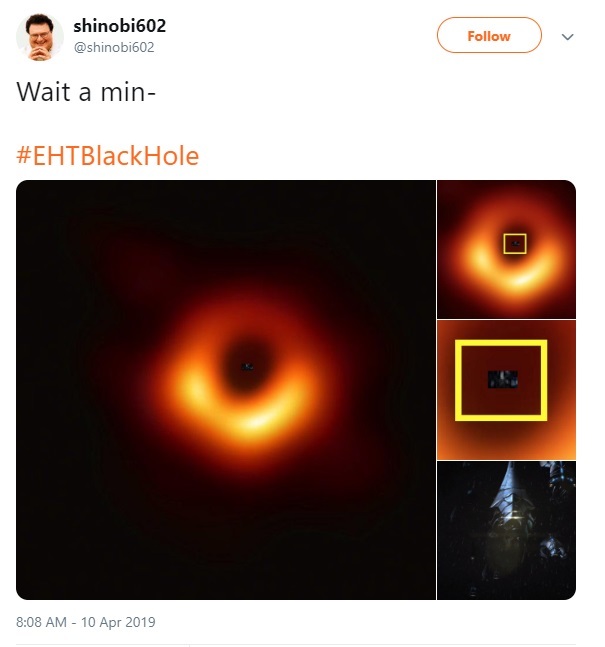 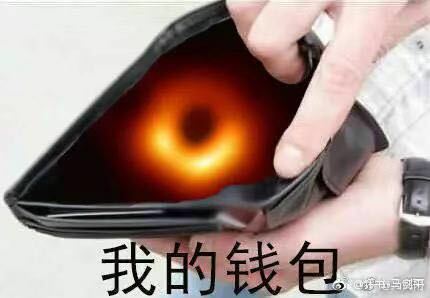 On April 10, 2019, images of a black hole found in the Galaxy M87 was shared to the general public thanks to a team of Astronomers from the Event Horizon Telescope (EHT) Project. 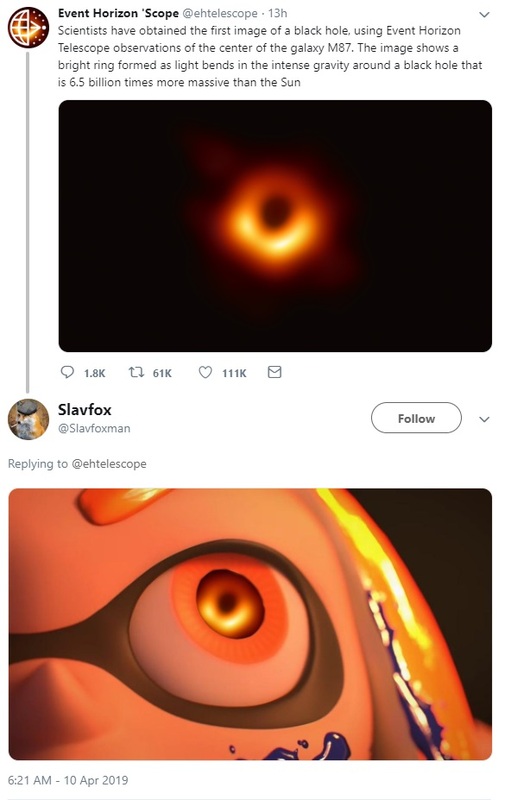 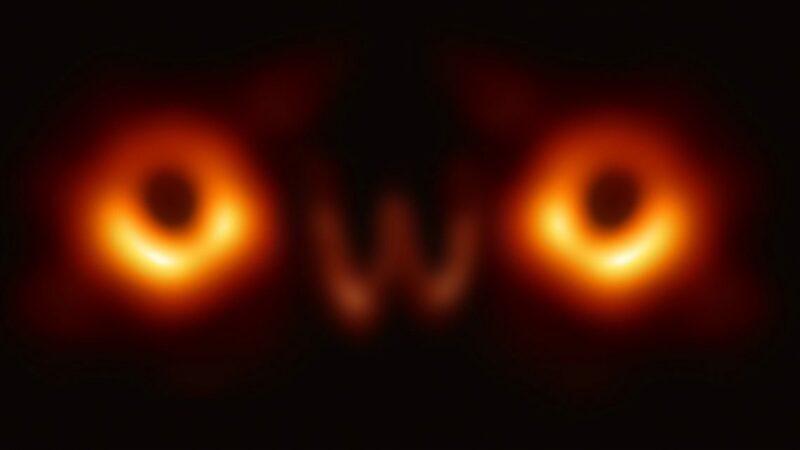 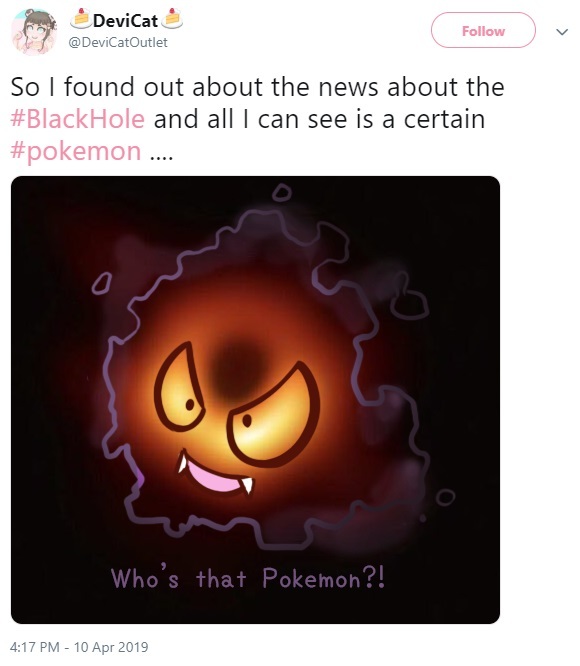 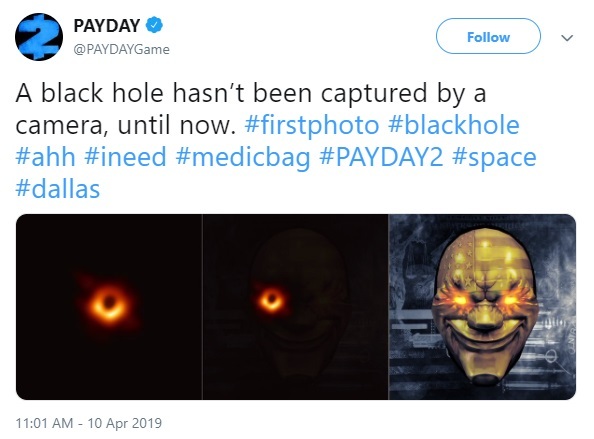 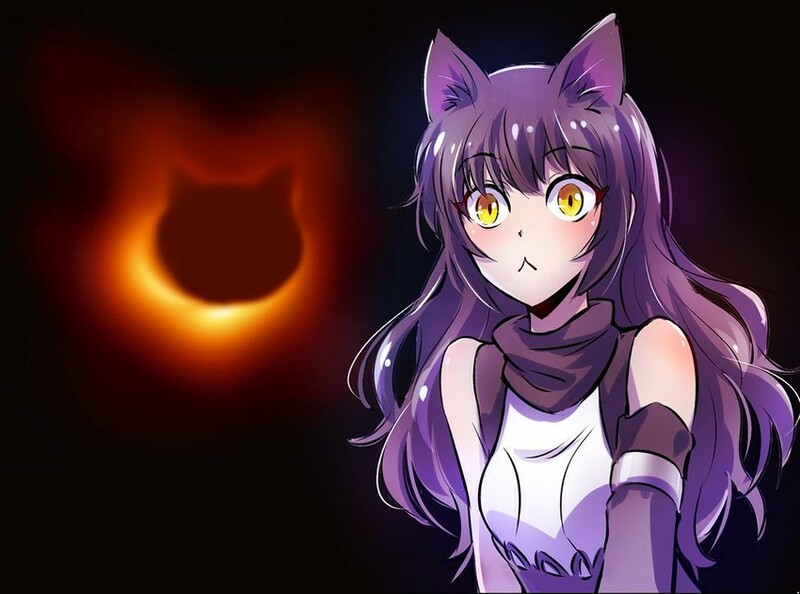 This groundbreaking discovery has not only revealed the appearance of what a black hole actually looks like, but it has also led to more questions that will be answered in further studies. 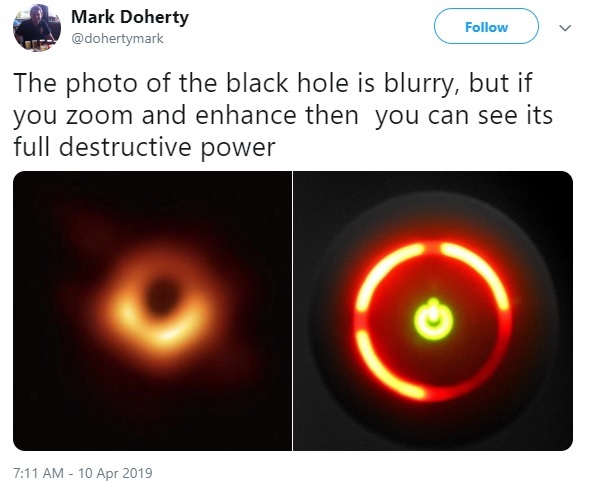 Of course, this is the internet. 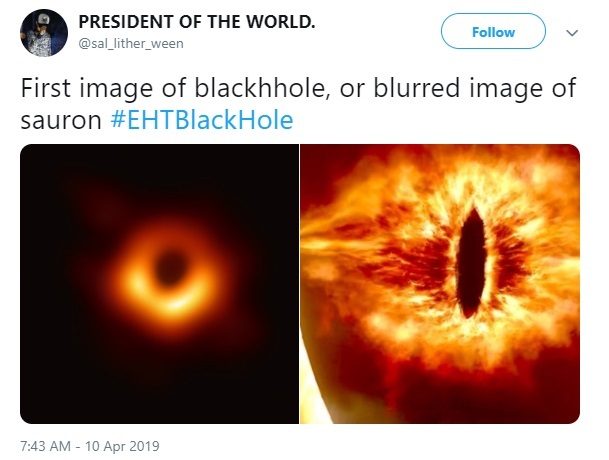 The internet in general has a rather different reaction towards the scientific breakthrough with some hilarious and clever memes that will make you laugh. 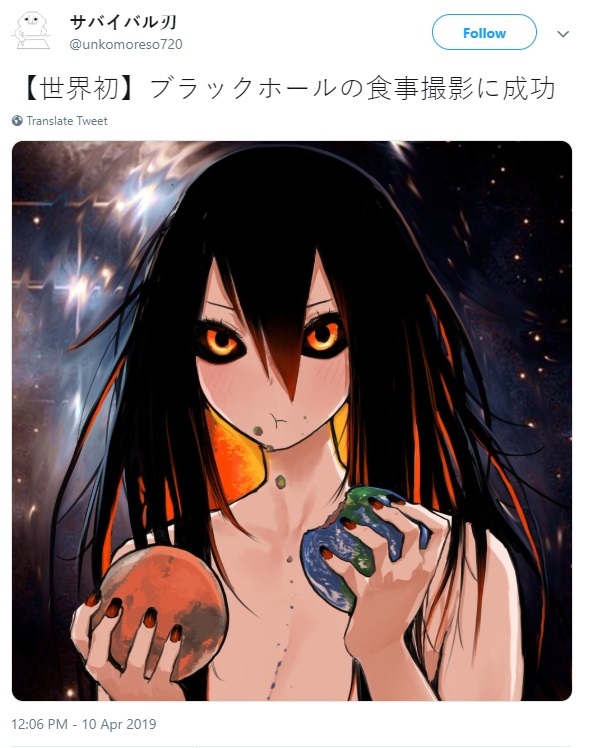 All images and tweets belong to their respective owners and posters.